Thank you to everyone who attended the 2019 VAEE Conference at the Lewis Ginter Botanical Gardens. Between the Silent Auction and 50/50 Raffle we raised over $1000.00 for scholarships for next year's conference! Please take a moment and fill out the Post-Conference Survey to help use make next year's conference even better! The survey is open until March 1 and one lucky respondent will be selected to receive a FREE one year VAEE membership for 2020. Dan has an M.S. in Environmental Studies from Antioch University New England. Over the last 15 years Dan has led environmental education programs in New York, Connecticut, Maryland, New Hampshire and Virginia. He served as the K12 Environmental Educator at the Claytor Nature Study Center of Lynchburg College before taking on his current role managing the energy savings program and teaching in the Environmental Studies Department at Roanoke College. Dan helped found the Blue Ridge Environmental Educators (BREE) and served as the inaugural BREE Chair. He also serves on the board of the Virginia Association for Environmental Educators. Dan received his Virginia Master Naturalist Certification in 2009. He is a certified Virginia Water Educator and a trained facilitator for Project WET, Project Learning Tree, and Project WILD. Bruce comes from a varied and wide background. He earned his BFA in Theatre Design and Technology from East Carolina University after spending several years as a freelance Costume Designer in North Carolina Bruce went back to school to earn his certification in Elementary Education. During his science methods class Bruce was exposed to Project WILD for the first time and was hooked. He proceeded to enroll in the North Carolina Environmental Education Certification Program taking workshops, seminars and training sessions across North Carolina. Bruce moved to Charlottesville, Virginia in August of 2016 when his husband took a job teaching at Tandem Friends School. Since moving to Virginia Bruce has been a 1st Grade Assistant Teacher/ K/1 Environmental Education Teacher at Free Union Country School (2016/17) and a 5th Grade Science/Virginia Studies Teacher (2017/18). He currently serves on the VAEE Board as a Director-at-Large, Communications Chair and the VAEE representative on the Virginia Environmental Education Certification Advisory Board. Bruce is a proud member of the NAAEE Guidelines Trainer Bureau and is an educational programming volunteer with the Rivanna Conservation Alliance. He hopes to continue his passion for Early Childhood EE, EE Certification and advancing VAEE as strong voice in environmental education in the Commonwealth. Tell us about yourself. What are some of your hobbies, past-times and things not everyone might know about you? My father was career Air Force so we moved frequently. Although it was difficult leaving friends and places I loved, I always had a great sense of anticipation about new opportunities, new places and friends. Since childhood I've chosen to travel as much as possible. Experiencing new places, and particularly other cultures, is very exciting and something I enjoy quite a lot. After college I was accepted into the Peace Corps and lived and worked in Fiji for 3 years. When folks hear that they immediately think I lived on the beach and swam in the Pacific as seen on travel ads every day, but actually I chose to be assigned to a "bush" school on the interior of the big island, Vanua Levu. I only ever got to the beach a few times in all 3 years! Those 3 years had a profound effect on me and I still have a Fiji room in my home. Even now, when time and money allow I travel both within and beyond the USA. This Christmas my sons and I are going to Chile for two weeks to spend time with dear family friends and to see Chile, of course. I have two sons, Sean and Myles. I'm going to share some about them because they are the most important part of my life - a mother cliche, but true. Sean followed in my footsteps and had a 3 year Peace Corps experience in Tonga after graduating from UVA and then chose to spend a year working and traveling in Australia, and then another year working and traveling in New Zealand. I think he inherited the travel gene! His latest adventure is dual enrollment at UVA for masters degrees in Architecture and Landscape Architecture which he starts in a month. While in New Zealand he took a permaculture course from the man who started the permaculture movement and he's very excited to start his new career. Myles loves preparing food, playing with recipes and restaurants. He started watching cooking shows in high school and just fell in love with making good and attractive food. Although he got a business degree from Hampden-Sydney College it was with the idea to eventually own his own restaurant. He worked for the Virginian Company in Charlottesville for 10 years and managed several of their local restaurants, but spent the greatest amount of time managing The Virginian, the oldest restaurant in Charlottesville being open since 1923. He's currently partnering with some friends to open a new French restaurant, Grisette, "an American bouchon", in the Churchill area of downtown Richmond. They found a lovely historic building and have the permit to open it, but are waiting for the permits to remodel the inside. They're hoping for an early fall opening. Since I was a small girl I knew I wanted to be a teacher. I never veered from that path and got a BS in Education from Madison College (James Madison Univeristy). As a Peace Corps volunteer I taught science and some "maths" at my bush school along with conversational English and sewing. When I returned to VA I got a job teaching in Norfolk, but then married a Navy man and we promptly went to Spain. I'm not complaining! I loved having that opportunity. I didn't really get back into full time teaching (that counts toward retirement) until 1992 when my sons and I moved from CA to Charlottesville, VA where I got a job teaching middle school science for Albemarle County. I love having pets. Currently I have three cats (not quite the crazy cat lady), but I look forward to having a dog again. Right now I travel so much it's not possible. I'm a very "artsy craftsy" sort and love to dabble in lots of different hobbies like flower arranging, wreath making, sewing, crocheting, quilting, and anything else that sparks my interest. I LOVE a craft store like Michaels or AC Moore. I look forward to retirement when I can really get into playing with my hobbies and find new ones like take a watercolor class and woodworking. I read constantly and whenever I can. I never go anywhere without a book although these days it's easier cause I can just download on my phone. I even listen to books while I'm driving here and there. I discovered kayaking in my 40's and I just love it. My favorite paddle is on the Chickahominy River right off of the New Kent Forestry Center. It's the most gorgeous freshwater wetland and Bald Cyress swamp. I love to camp although I will confess to using an air mattress these days! I love to hike, although I'd say that's really a misnomer. I really like to walk and look at this and that and take pictures and see the views. More of a poke than a hike. How did you get involved with Environmental Education? I left the classroom in 2008 to pursue a MS in Ecological Leadership and Environmental Education through Lesley University. Many thought I was crazy including family, but a number of factors and dreams had coalesced in my life and I knew it was something I both wanted and had to do. I even sold my house thinking that I could take a job anywhere I wanted once I received my degree, but fate brought me back to Virginia. In 2010 I got a job with the VA Dept of Environmental Quality int the office of EE working part time under a three year NOAA grant to develop and lead the Watershed Educators Institute. I managed to make that work by also working with a dear friend of mine who owns her own painting company, Surface Elegance. I became quite a good painter! VDEQ agreed to let my try for another three year grant to continue and expand upon the same work, but it was meant to be full time. We got the grant, but I was again part time. At this point the VRUEC hired me to manage their NOAA grant for the Mountains to the Bay Watershed Academies. It was through these two jobs that I have the pleasure of knowing many of you. 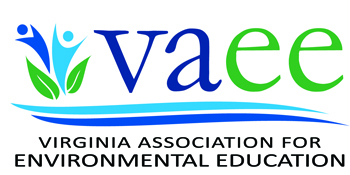 How did you get involved with VAEE? When the idea was floated to re-start VAEE after a many year lapse I was 100% for it. Most importantly I felt like we needed an environmental organization that wasn't tied to State government. Through my work with VDEQ I saw A LOT of EE happening all over VA, but we really needed an organization to bring us all together to work toward the same goals and to advance EE. I happily agreed to run for Vice-Chair when it was time for the second round of officers to come into play. VAEE has an extremely committed and ardent Board who are totally dedicated to advancing EE in VA. I feel privileged to part of the Board and the organization as a whole. Why is EE important to you? Why is EE important to me? I've always been a "the glass is half full" kind of person and although everything I see on TV, the internet and social media would lead me to believe that all is lost, I just can't allow myself to go there. I have to have hope that we can turn things around and be better people than we currently are in regards to our planet, well, and each other, too. I want to be part of the solution. I'm an educator. That's my passion and purpose and I want to continue for as long as I can whether in the work force or as a volunteer. Our planet is beyond amazing. Every day we're learning more about how unique and special the Earth and all life forms are. It's astounding some of the things we're discovering. Education is a way, maybe THE way, to lead others to make the connections needed so they, too, want to preserve and protect this special planet.